Lee Rainboth is coming to Indianapolis this week and we’re throwing a party with him at our potential new home. 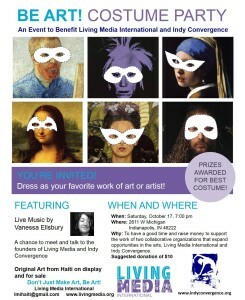 Come dressed as your favorite work of art or artist. 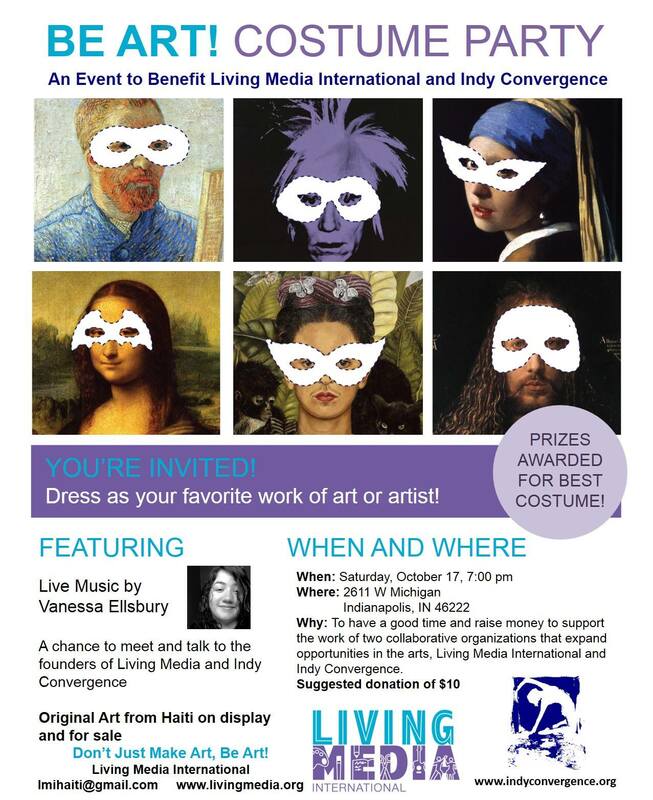 There is a $10 suggested donation at the door that will benefit both Indy Convergence and Living Media International. Join us for a fun night to benefit two organizations! If you missed our Open House on October 10 this is a great chance to see our future home and help us get there! See you Saturday at 2611 W Michigan!